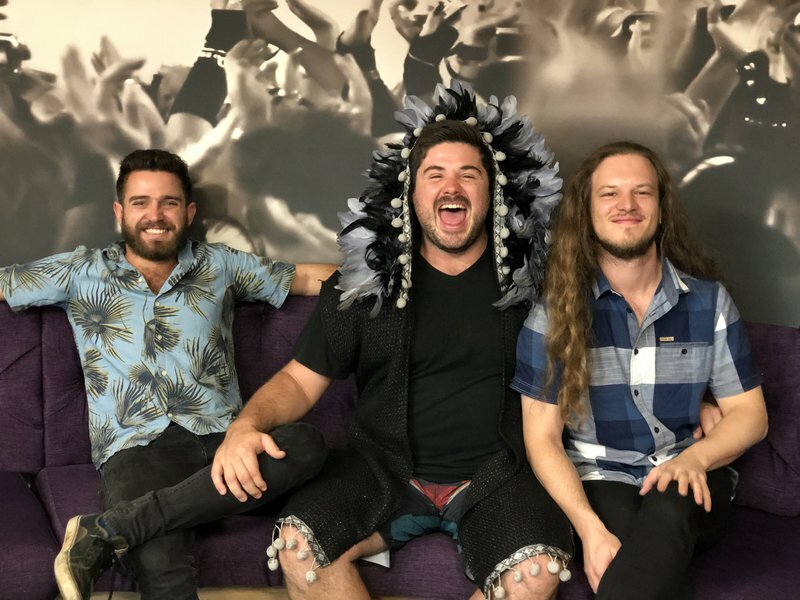 Cape Town band Sunset Sweatshop performed their feel-good track ‘Coming Along’ on Breakfast with Martin Bester on Friday morning. Having only started in 2016, the band is steadily making a name for themselves in the music industry - and we absolutely cannot wait for them to perform at Alternatief is Groot! The band made waves on Jacaranda FM by being number one on the SA Top 20 on Sunday. The Afrikaans music industry has produced many alternative bands over the years and it is time to celebrate them on one stage for one night only! Sunset Sweatshop performed live on Breakfast with Martin Bester! Martin Bester tried on the band's famous kaftan. It does look great on him, right? !